Julie Dow and Harriet Urquhart learn a thing or two at the Instameet. 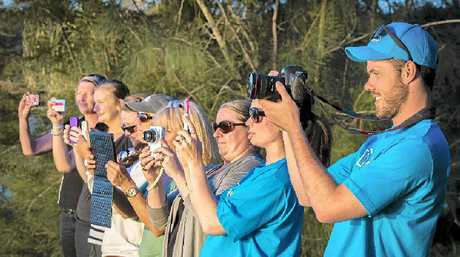 INSTAGRAM enthusiast Julie Dow was in hashtag heaven on Saturday, part of the group at Agnes Water/1770 attempting to break the record for the biggest Instameet in the world. Mrs Dow drove from Miriam Vale to attend the 5am Instameet at Agnes Water Main Beach, then backed it up for the 5.15pm session in 1770. "I have seen a lot of instameets online and to find out there were two down the road, I wasn't going to miss either of them," she laughed. "It was excellent, it was really good. I got a lot of tips." The mother of four has been an avid user of Instagram for 18 months, preferring it over Facebook. "Facebook is family orientated and Instagram opens the door to the world," she said. "It's more broadening. Facebook is quite stunting and I find Instagram is all about the emotion in the picture." She takes photos of sunrises, sunsets, family, animals and her backyard. "Three of my kids use Instagram. I follow all of them but don't like or comment on my pictures," she laughed. Participants work on catching the sunset from the 1770 Foreshore. 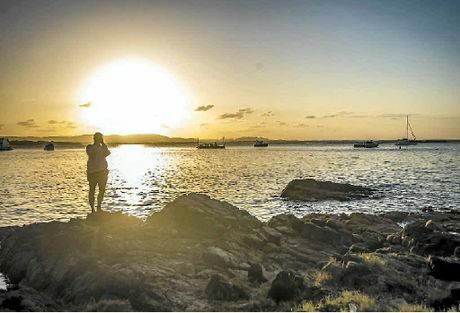 Mrs Dow joined about 14 people at the Foreshore boardwalk in 1770 on Saturday afternoon, capturing pictures of the beautiful sunset on her iPhone to upload using the hashtag sign #thisisqueensland. It was the 10th worldwide instameet. Tallies of the hashtag count will be finalised over the next week. 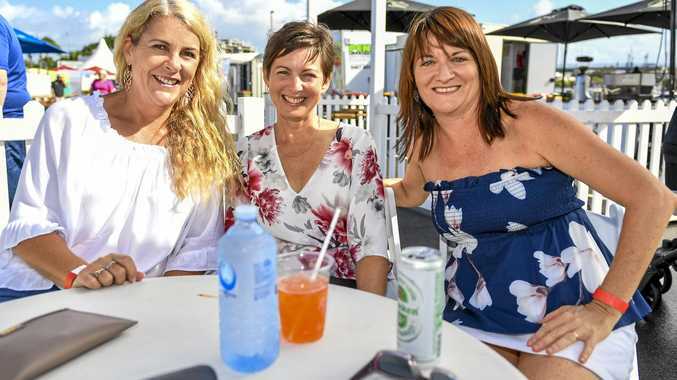 GAPDL digital and social media project officer Melissa Dahtler said she was rapt with the turn-out in Agnes Water and 1770. "We had 14 come to the morning session and 15 there in the afternoon," she said. Ms Dahtler said Instagram users did not have to be a professional photographers. "You can turn an average iPhone image into something spectacular," she said. OBVIOUS ANGLE: An Instagram user takes advantage of a rocky outcrop to take a snap during the Instameet.